On 22nd June 2018, the Ethiopian government reported that it has unblocked 264 websites. 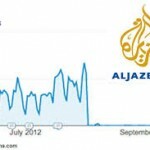 This news was also reported by ESAT, a major Ethiopian media website that was blocked over the last years. Freedom of expression is a foundational right that other rights depend on. #Ethiopia has opened access to 264 blocked websites/bloggers/ ESAT and OMN. A free flow of information is essential for engaged & responsible citizenry. Only a free market of ideas will lead to the truth. On the 29 June 2018, OONI and Access Now published new research based on the testing of sites that were previously found to be blocked, in an attempt to examine whether they have in fact been unblocked in recent days. 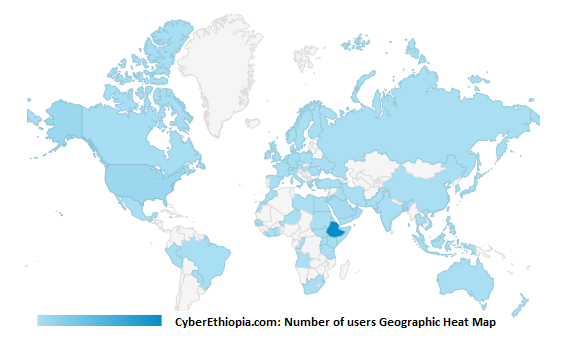 The evidence based verification research confirms that CyberEthiopia.com along many other web sites are indeed unblocked since the beginning of June 2018, findings confirmed by our own regular tests and the return of IP addresses from Ethiopia in our visitors’ log after 12 years! 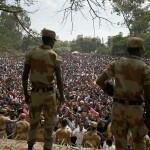 It is to be recalled that CyberEthiopia.com has been blocked in Ethiopia since 2006 along with many other pro-democracy popular Ethiopian web sites with an apparent objective to prevent the dissemination of information that is critical of the regime in Ethiopia. The then-TPLF dominated regime was the first in sub-Saharan Africa to actively engage in political censorship of the Internet . Following the political protests which have swept the nation since November 2015, the regime had routinely shutdown the Internet and restricted access to Social Media (including Facebook, Twitter, WhatsApp, Viber) and indicated its keenness to control Social Media. On 22nd June 2018, just few months after Dr Abye Ahmed’s rise to power, the Ethiopian government reported that it had unblocked 264 websites including CyberEthiopia.com after 12 years of blockage as attested by the OONI’s thorough verifications of our website’s unblocking. Posted by cybereth on Jul 30 2018. Filed under News, Views and Opinions. You can follow any responses to this entry through the RSS 2.0. Both comments and pings are currently closed.